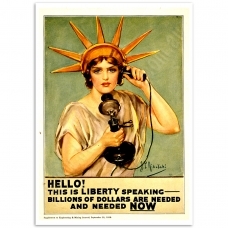 The power of persuasion, a window into the world of Propaganda. 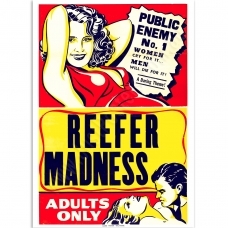 Reefer Madness - Vintage Propaganda Poster1936-1950 Anti-weed film poster.The film "Reefer Mad..
We Can Do It! 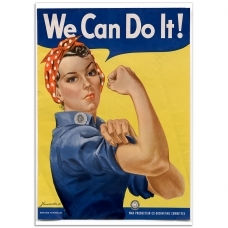 Rosie the Riveter - Vintage Propaganda PosterThe famous "We Can Do It!" 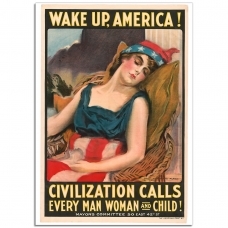 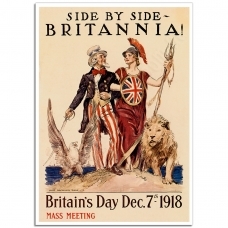 poster is ofte..
Hello, Liberty Calling - Vintage WW1 PosterA 1918 poster encouraging Americans to buy Government War..
Side by Side Britannia - Vintage WW1 PosterA classic World War I Propaganda Poster.Poster shows Uncl..
Wake up America - Vintage WW1 PosterWake up America! 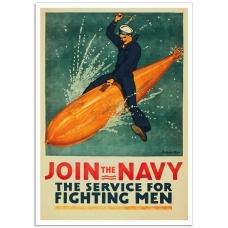 Civilisation calls every man, woman and child!T..
Join the Navy - Vintage WW1 PosterA fine example of a WW I Navy Recruitment Poster. 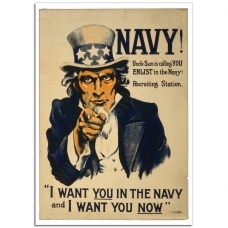 'Join the Navy, t.. 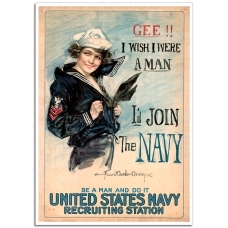 US Navy Girl - Vintage WW1 PosterVintage WW1 US Navy Recruitment Poster.America entered World War On.. 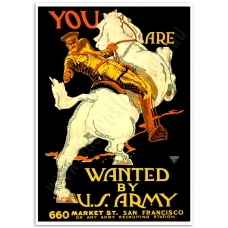 Wanted by the US Army - Vintage WW1 Recruitment Poster“You are wanted by the U.S. Army..... 66..